Interpersonal relationships are a very important aspect of your personal and professional life. Given that we encounter new people almost daily, it’s paramount that we work on our skills to better relate to others. Although human behavior is not something that can be defined by simple rules, there are certain things you can do to be nicer, friendlier, and more interesting to others! If you want to improve your people skills and relate better to others, the first stop should be endeavoring to know yourself better. When you know yourself thoroughly and understand what you have to offer, you get more social confidence and will be able to invest in the right interpersonal relationships. Be kind to yourself. It’s very hard to connect and empathize with others if you can’t do the same with yourself. If you’re often critical of yourself, learn to treat yourself kindly. This is always a good stepping stone to take your interpersonal skills to the next level. Contrary to common misconception, good people skills are unnatural. It is something that you can learn and work on. One of the best ways to learn more about people and how to improve your people skills is to read books on the subject. Start with ‘How to Win Friends & Influence People’ by Dale Carnegie. This is one of the best books you can ever read to improve your people and leadership skills. There are many other good texts dedicated to the topic that will definitely hone your skills. If you’re not a good listener, then you’ll find it hard connecting with people. We all want to be around people who listen and pay attention to what we are saying or feeling. The good news is that if you are not a good listener, you can read on how to improve this skill. The 9 Steps to Influence is a good place to learn both active and passive listening, as well as other key skills that will make you more influential around others. Scientists, mentalists and other specialists have all agreed that body language is (almost) always more powerful than speech. Up to 93 percent of all human communication is nonverbal. You’ll be surprised how people judge you based on how you’re standing, or how you’ve placed your hands or legs. If you’re truly committed to improving your people skills and becoming a better communicator yourself, spend a little bit of your time each day to master body language. 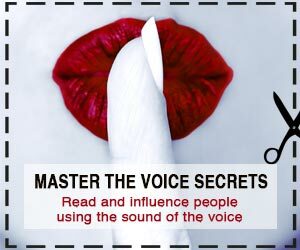 The Secrets of the Voice book offers a few incredible tips on how you can use the power of the voice to your advantage. If you’re stressed or anxious, you almost certainly will not be able to do well with other people. It’s crucial that you learn to recognize and manage your own stress signals. This way, you’ll be on a level to help others. One of the greatest books you can read on how to manage stress is ‘How to Stop Worrying & Start Living’, also by Dale Carnegie. Once you’ve focused on these things, you’ll be a much better team member, spouse, parent, and colleague to the people around you! A good way to get started is to commit about 30 minutes of your time every day to learn about body language and people skills!